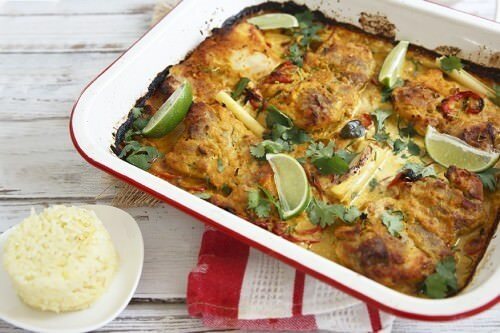 Today I am sharing the most delicious authentic Balinese Chicken Curry recipe! Honestly, it’s the best dish I have made for AGES! It’s so freaking good! Where did the inspiration for this “spicy” dish come from? Well, it came from celebrity chef Mr. Pete Evans. Before we get started I have to tell you this isn’t exactly the same as Pete Evans Balinese Chicken recipe. But when I saw his Balinese Chicken Curry recipe it reminded me of a cooking class I did in Bali. 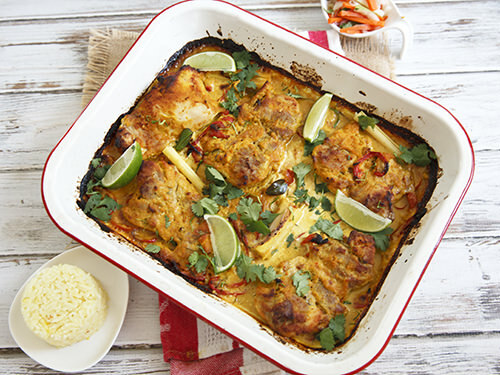 All the same, ingredients were used to cook this Balinese chicken curry recipe. Casa Luna Cooking School in Ubud runs the most amazing classes. The dishes are authentic Balinese dishes and use fresh ground spices and local ingredients sourced daily from the markets. 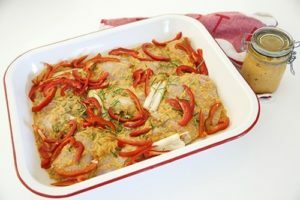 When I attended the class, I was given a recipe for a dish that reminded me so much of the Pete Evans Balinese Roasted Chicken, that I had to make a hybrid of my own. I also wanted to reproduce the pickle we were shown in class as an accompaniment. Now, Pete Evans eats a Paleo diet so he would not be serving Balinese yellow rice with the dish, but I do hope he would enjoy my Balinese pickle. I really haven’t varied too much from the authentic recipe, or from Pete’s recipe. Except that at the end of the cooking I added 200 ml of coconut cream to the Balinese chicken curry to give a luscious, spicy sauce to the dish. Place all the ingredients in a food processor and process until a paste has formed. Place one cup of the paste in a jar and pour a thin layer of oil over the top. Seal the spice paste jar and refrigerate for use in another recipe. Coat each of the chicken thigh fillets with the paste and place them in a roasting dish. Add the sliced capsicum, juice from 1 lime and 1/2 the lime leaves and bruised lemongrass stalks. Cook uncovered for 10 mins. Remove the chicken from the oven and turn each thigh fillet over. Add the coconut milk to the pan and mix it around slightly. Add the remaining lime leaves and continue to cook for a further 10- 15 minutes. Garnish with sliced lime pieces and coriander leaves. Oh man, that was a stroke of genius! 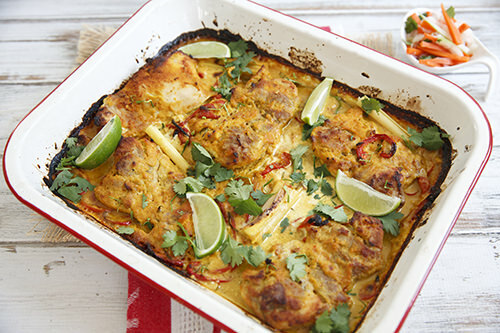 It’s not in Pete’s how to make Chicken Curry recipe, and it wasn’t in my Casa Luna cooking class but wow! It gave the dish a rich, creamy sauce that was aromatic and flavorsome. 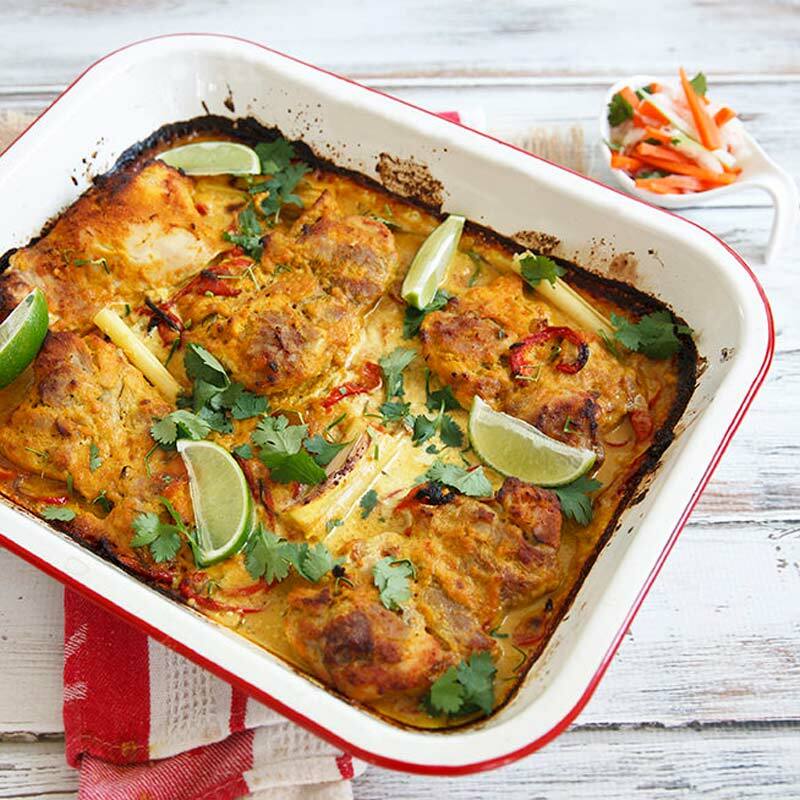 This version of authentic Balinese Chicken Curry is a delicious dish which can be made easily on a weeknight. 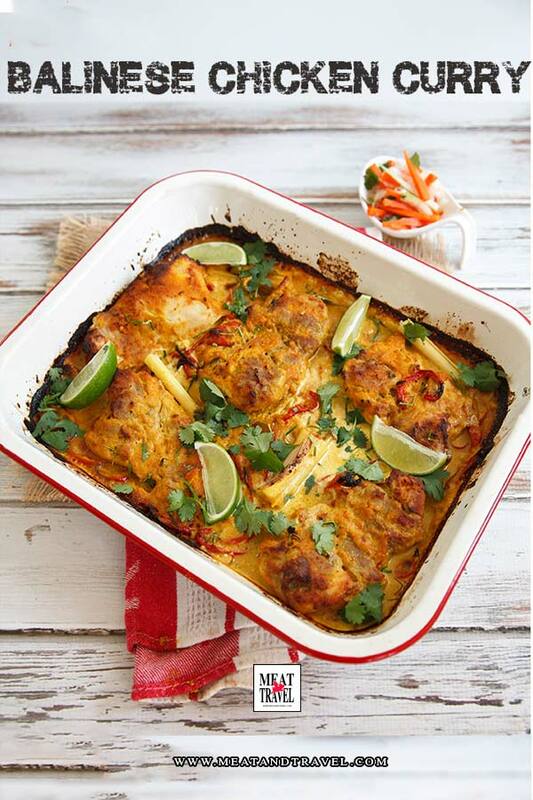 It's a "Spicy and Creamy" traditional dish that's a hit with everyone who tastes it. Place all the ingredients in a food processor or thermomix and process until a paste has formed. How about you? Would you give Paleo a go if you had Pete cooking for you? I think I like my Balinese Chicken Curry with rice a little too much.